I dread posting this article from Warhammer Community up because I can already hear the cries from Dakka Dakka and other sites about how this will be Codex: Tzaangor, and that Tzaangors will be the only competitive way to play. So...I probably won't talk too much about this since I will most likely not be fielding Tzaangors in my Thousand Sons army. Not because I don't like them, but because I like Rubric Marines, psykers and daemon engines more. And Terminators. Eddie was talking about how Tzaangor Blades are better with the -1 AP, but he neglected to say that the chainsword grants your Tzaangors an extra attack in melee. That's 10 extra attacks for a minimum-sized unit, and up to 30 extra attacks for a 30-Tzaangor horde. Something to think about. It's not the autopistol you're taking to shoot in melee. It's the extra attack the chainsword grants you. Tzaangor Enlightened, I guess you probably already know, has the Fly keyword, and can be equipped with fatecaster greatbows to zip around, shooting stuff from a distance, or divining spears to deal 2 damage in close combat. This rule makes them pretty deadly and bypass wound rolls altogether if you roll lucky with your hit rolls. To improve the rate they hit, you can cast Prescience on them with a psyker, and pair them with a Tzaangor Shaman, who will both give them +1 to their hit rolls. This means you will be automatically wounding units on 4+s hit rolls without even needing to roll to wound. Eddie gave us several ways to use them, and I hope people won't complain and say that these are the only ways to play Thousand Sons now. 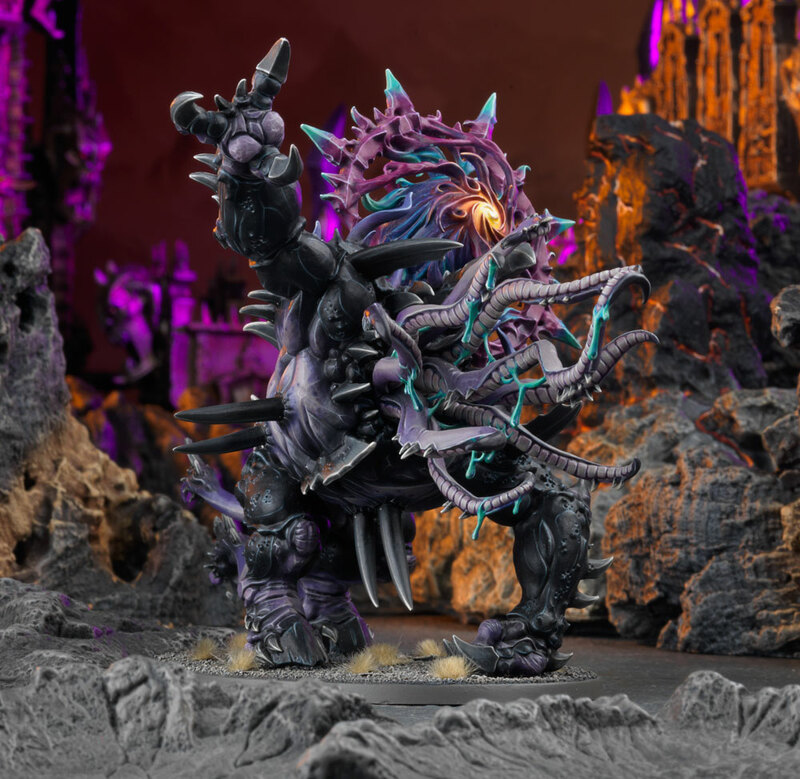 Sure, these look powerful, but Eddie also gave us several tips on how to use our Rubric Marines in the last article and he explains how these guys should be used as distraction carnifexes so that our Rubric Marines and Scarab Occult Terminators can do their thing. In other words, the Tzaangors here are used as fodder to distract the enemy while your Rubric Marines and Scarab Occult Terminators grab objectives or purge the enemies with their wrapflamers safely. Remember, if your enemy is devoting resources to eliminating your Tzaangors, it means they're not shooting your Rubric Marines and Scarab Occult Terminators. 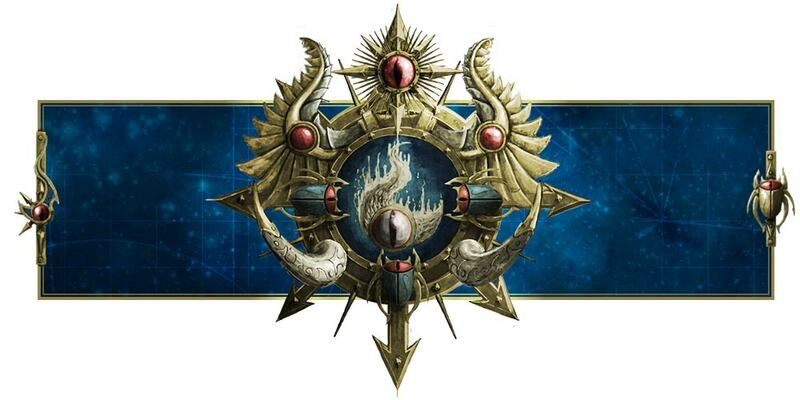 Get that into your head and stop whining about how Rubric Marines and Scarab Occult Terminators support Tzaangors now and that Tzaangors are the mainstay of your army. They are not. For Tzeentch's sake, even Eddie's use of them shows how they're meant only to be fodder, to run around and distract the enemy by doing as much damage as possible before they die, while your Rubric Marines and Scarab Occult Terminators do shadowy stuff in the background, unnoticed. As Tzeentch would say, 「計画通り！」 or "Just as planned!" If you're banking on winning with just hordes of Tzaangors, then you're playing them wrong. This Stratagem, for example, might look powerful, but you can only use it for one Tzaangor unit per turn. 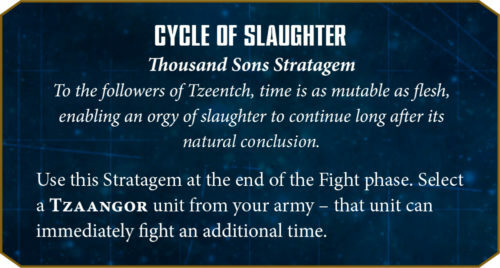 In other words, why would you take an entire army of Tzaangors just so you can use this Stratagem, when only one unit is enough? Another idea that Eddie gives is the Mutalith Vortex. Again, people are going to complain that the Mutalith Vortex benefits Tzaangors more than Rubric Marines. Uh, use your imagination. Mutalith Vortex works well with Daemon Princes, Exalted Sorcerers, Ahzek Ahriman and Scarab Occult Terminators. You'll be wounding normal Marines on 3+s with Strength 5 Scarab Occult Terminators with AP-3 - something you can't do with Tzaangors with their AP0 (or AP -1 if you took the Tzaangor blades). Tzaangors will sacrifice AP for the better Strength, whereas your Scarab Occult Terminators will probably destroy more Marines and 3+ armor save and even 2+ armor saves Terminators with their power swords. Plus the Mutalith Vortex will help your Exalted Sorcerers wreck vehicles more reliably - and you casted the Boon of Change on them, right? See, it's not always about Tzaangors. While they're strong and certainly will pose an immense threat, the strategies to use them are pretty similar to how you can use for Rubric Marines and Scarab Occult Terminators, and these guys have their own psykers to buff them further to be more survivable. While your Tzaangors are fragile - and they should be, they are fodder whose purpose is to die while distracting your enemies while your Rubric Marines and Scarab Occult Terminators dig into objectives or do the real work (getting close enough to unleash their warpflamers on the survivors) - your Marines are more durable, survivable and flexible. Tzaangors can't cast spells except the Tzaangor Shaman. And think about it this way. Your Tzaangor Shaman has to take a bunch of Tzaangors or Tzaangor Enlightened to be useful. Lose any one of them, and they'll be nigh useless on their own. Rubric Marines and Scarab Occult Terminators remain useful even when left to their own devices. Use that to your advantage and stop harping on how Tzaangors are superior in every aspect. Tzaangors have their own strengths and roles. Rubric Marines and Scarab Occult Terminators have different roles that they excel in and they do those better than Tzaangors. Of course Tzaangors are better in melee, but that's their role! Think about the stuff that make Rubric Marines better and play them to their strengths instead of whining about how Rubric Marines are not as good as Tzaangors - it's like complaining how apples are worse than oranges when they're meant to be two different fruits! You're playing an army of Tzeentch followers. Nothing is as straightforward as it seems. Think about it. Adapt to change. If you still think Tzaangors are better, then perhaps it is you who needs to change your mindset and strategy, not demand that Rubric Marines get buffed to be better than Tzaangors. Otherwise what's the point of taking Tzaangors? 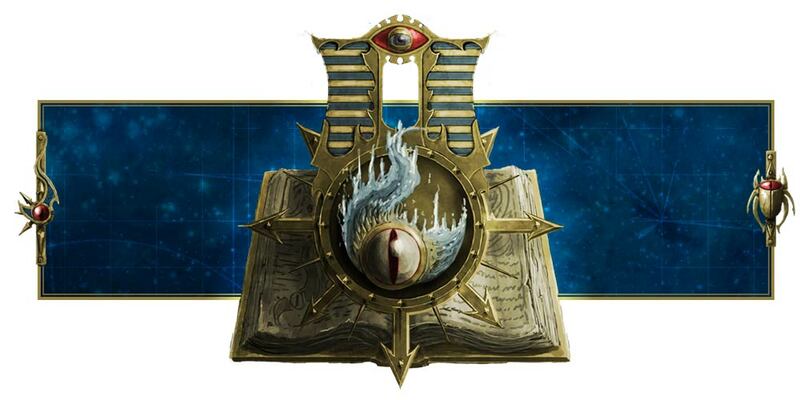 People are asking why take Rubric Marines over Tzaangors. I already told you. They are better at shooting, they don't have to worry about overwatch (unless you're desperate enough to charge), they're less susceptible to morale, they are much more durable and survivable, they have an in-built psyker that makes them more flexible, and while the addition of an Exalted Sorcerer makes them better with re-rolls to hit, they are not completely reliant on buffs and synergies the way Tzaangors are on Tzaangor Shamans. And you can have a 10-men Rubric squad armed with nothing but warpflamers to incinerate hordes rather than charge in and hope your Tzaangors wipe the enemy out in melee with AP0 close combat attacks. Well, AP-1 if you take the blades, but that's one less attack. That said, we should have a Rubric Marine or Scarab Occult Terminator Stratagem that allows our power armor guys to shoot twice in the Shooting Phase. Oh well. Wasted opportunity there, but not something to get angry over (it will have to be pretty expensive, especially since I can abuse it with my 9-19 warpflamers).